Welcome and hi from NANNY SHECANDO! I wanted to pop in and say hello to you. It’s been a while. You saw a bit of me with the crafts over Easter, but I haven’t had much time with you this year. Though you have met some wonderful new additions to the NANNY SHECANDO blogging team and I’m so glad. Olivia Foster is our resident crafts extraordinaire. Abby Sneddon our health + fitness blogger, and Da Poppins our children’s literature aficionado. Sarah Kinghorn popped in to give an exposé into her experience as a nanny vs babysitter, and Amelia Seymour of Starry Nights our resident sleep consultant expert. You’ll be seeing more of them each week on the blog. So what’s been taking up all of my time? Well I mentioned it briefly last year, and you might have seen it in your news feeds in the last couple of months; The 2015 Australian Nanny Conference. I’m co-founding the first ever Australian Nanny Conference and can I say, I am so excited. Hosted at the University of Sydney, this inaugural event is featuring an extraordinary lineup of highly regarded and sought after speakers delivering tailored nanny-specific information and resources. >> The Australian Nanny Conference: nannies make a difference for a living. The 2015 Australian Nanny Conference is a 2-day weekend event designed to allow nannies to come together, to network, to exchange knowledge and to invest in your professional development on a scale previously unseen in this country. The Australian Nanny Conference is about establishing connections and building relationships, delivering opportunities for personal and professional development, and paving the way for stronger futures for the nanny profession. Featuring a 20+ strong lineup of the industry’s most notable and highly respected experts, this is the nanny industry event of the year. Headlining: Pinky McKay, Dr. Louise Porter, Dr. Pamela Douglas, Melina Marchetta, Devon Barnes, Ainslie Asquith, Bondi Planet Yoga, Back On Track Consultancy, Seana Smith, Laura Douglas + more! By nannies, for nannies. To find out more info, to see the full speaker lineup, and to sign up to the mailing list.. come check it out here! 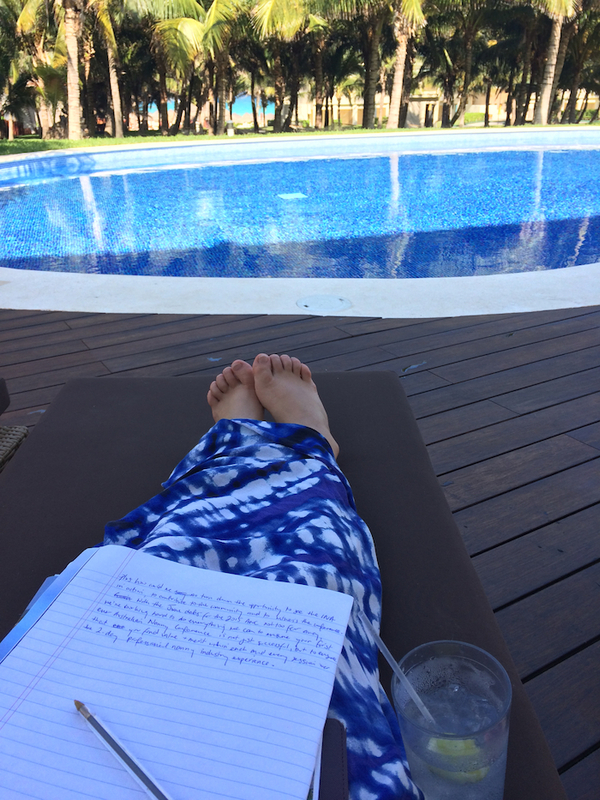 Give me all the info on the 2015 Australian Nanny Conference. It’s an exciting time to be in the nanny camp of the childcare industry! >>> Will we see you at the 2015 Australian Nanny Conference? With winter looming quickly for us Southern Hemisphere residents, it’s time to start thinking about how you’re going to manage the work/life balance in the nanny life. Because I for one know with certainty that you won’t be seeing me out pounding the pavement at 4.30am when it’s cold and raining out. Just not going to happen. But I do know how important it is to maintain a fit and healthy lifestyle during the winter months, if not for the sake of fitting into my skinny jeans, but for my mental health. Thanks Abby for sharing these exercise tips, I’ll be taking notes! (For When You’re Really Not In The Mood) After working long hours, sometimes the last thing I want to do is go to the gym. During those times, Netflix and yoga pants are my best friends and the treadmill and battle ropes are more foe than friend. But the truth is, we still need to exercise. It’s important for our health and wellbeing, and it keeps us happy and patient with kids whilst working long hours. So on those long tiring days, how can you sneak in some exercise? The most obvious way to get in some exercise is by taking the kids out for a walk. Depending on the ages you care for, you could even take the jogging stroller out and pound the pavement. But, what if it’s winter and you’re caring for three hyperactive children? Here are 5 sneaky yet easy ways to exercise at home with kids (even when you’re not in the mood) so that you can feel less guilty about those full-fat mochas. Calf raises is an activity you can do when preparing lunch, or whilst helping the kids with their homework. Walking lunges are an easy way to work your quads, hamstrings, glutes and core. Do you need to get a book from the top shelf? Add a little jump in between. Make sure you have enough room. When you’re down in the lunge, use your hamstrings (or thighs) and spring up, quickly landing on the opposite leg, or the leg that was just behind your body and bring it to the front. This is an easy activity to do wherever you have the space. My charge drinks water like a fish so I’m always doing these as I go back and forth to the refrigerator. How often do you find yourself with an extra 30 seconds through the day? While we as nannies are incredibly busy, I’m sure you’d have an extra 30 seconds (or even 15) more often than you’d think. For this exercise all you need to do is find a wall with enough room and a clear space. Put your back against the wall and then slide down so that your thighs are parallel to the floor. This exercise is easier if your feet are shoulder width apart and your knees don’t go over your toes. Hold it for as long as you can. If the burn gets to be too much, straighten your legs to break up the build-up of lactic acid and get right back to it! Instead of sitting down with the kids while they’re doing an activity, stand. Smithsonian Mag says that there is a reduced risk of type 2 diabetes, a reduced risk of cardiovascular disease and a reduced risk of obesity for the people who are active and on their feet more than those who sat at a desk. Even though we’re nannies and constantly on our feet, it still helps to take advantage of those times where we can make a more active and healthier choice. If you happen to enjoy a glorious naptime hour, you should use to your advantage. Nap-time could be an hour of uninterrupted exercise. Providing it actually happens of course. Clear a space in the living room or playroom. If you can go online, pull up different exercises on YouTube or go to the health and fitness page on pinterest. From there it’s very easy to find some short exercises that you can do whilst your charges are snoozing. 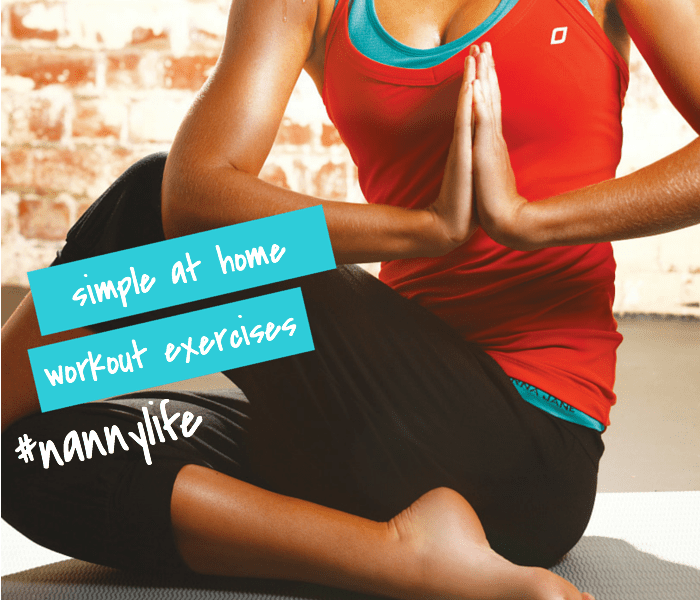 Not limited to home workouts? Here’s 8 more ways to squeeze exercise into your day with kids. Yes, as nannies we’re busy. We’re busy on our feet, lifting kids, chasing kids, preparing bottles, dancing to Raffi. We’re with our charges for so many hours of the day that it’s easy to lose count. However, given we’re with our charges for such a major part of their early upbringing, we have the unique opportunity of being able to influence their actions, and also to be seen as a positive example. We can show them that even when the hours get busy, it’s important to make exercise part of the routine. Many of these things are easier said than done, however even if you’re able to put just a little bit into your day it will make you feel a lot better than if you didn’t, and that’s a guarantee! 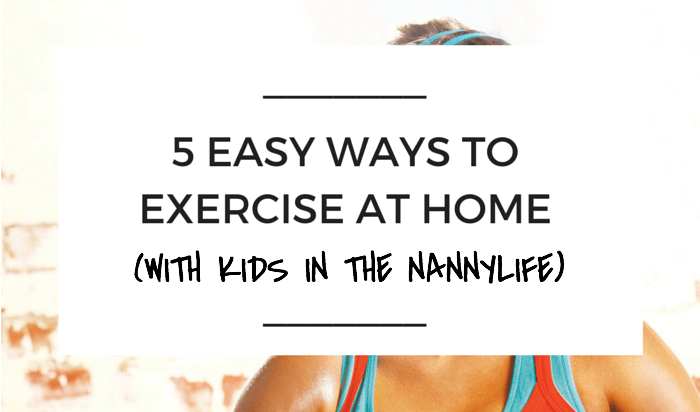 >>> How do you squeeze in exercise at home with the kids? Abby Sneddon is a professional U.S based nanny. 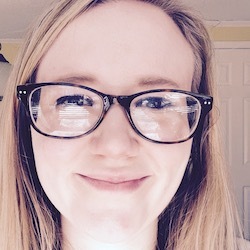 She currently works with two gorgeous toddlers in a nanny share arrangement and has a professional background in private Montessori preschools. Abby believes the best way to teach a child is to lead by example and carries this notion through every aspect when it comes to health, wellbeing and fitness, raising well-developed children, and education. Abby blogs at The Nap Time Nanny. (To prevent professional burn out) As I write this, I sit in the kitchen of a family I do some date night babysitting for. It’s my second babysitting job for the day. To add to my schedule, at around 8:15 this morning, one of my Mom Bosses called and asked if I could babysit. As nannies, we spend almost every working hour (and a lot of non working hours) seeing to the needs of other people. We unload people’s dishes, and we fold their laundry. Sometimes we vacuum their homes and we almost always do dinner. If we don’t set aside the time to put ourselves first, it can begin to seem as though there’s no light at the end of the tunnel. Sure we love our nanny kids and our parent bosses, we show them love by doing what we do. But if we don’t make the time to do something for ourselves, be it a pedicure, or a gym session, or to sit on the couch with a glass of wine and binge watch Grey’s Anatomy, we soon find ourselves stuck in cycle of endless work. There’s no sun, there’s no light, there’s no break. And you know what? You deserve a break. A caregiver is not all that you are. Whilst being a caregiver is a huge part of your generous personality, it shouldn’t consume your entire existence. 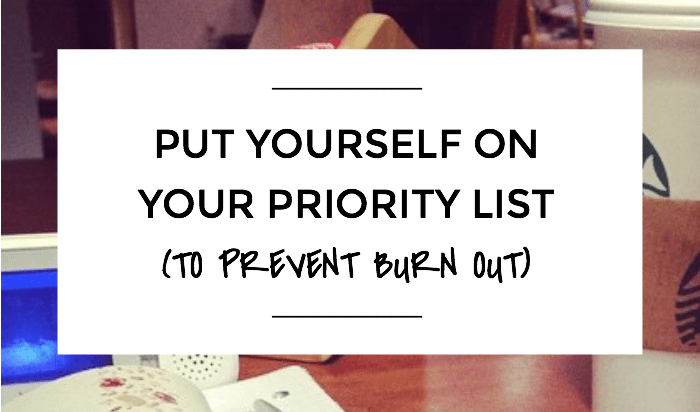 Put yourself on your priority list to prevent burnout and to win back some work life balance. So after working 65 hours one week and 50 the next, I have an appointment for a mani-pedi with a girlfriend. Because I am not just an exhausted and happily overworked nanny, I am a girly girl who likes her nails to be sparkly. 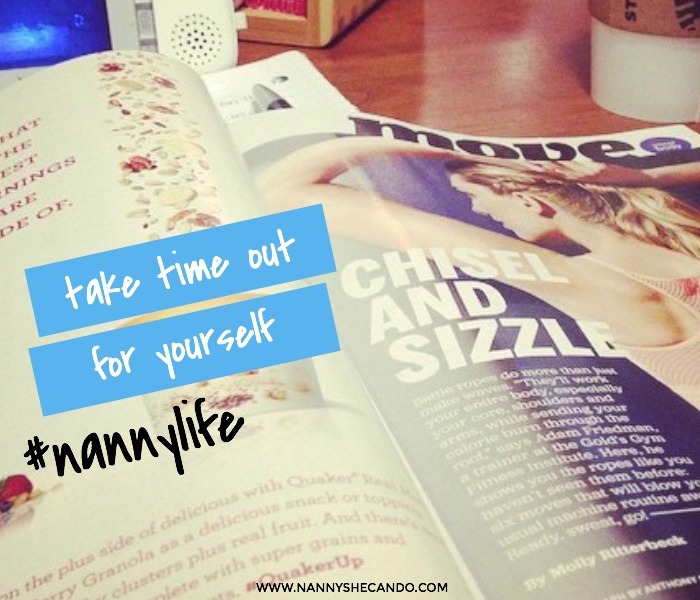 Nannies, I give you permission to take time out for yourself. I give you permission to say no to the 3rd babysit job for the day. I give you permission to protect your weekends and I give you permission to reserve the right to be picky with your jobs. Mostly, I give you permission to sit on the couch in your pyjamas after a long day and watch trashy tv. It does not make you any less of a responsible nanny, nor any less educated, respectable, or professional. It makes you strong. >>> So what’s your plan for the weekend? Lots of RnR I hope!